Oldschool, Pro Poker Veteran Who transitioned his card counting skills to sports investing Part 1. 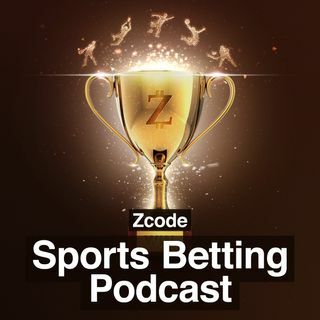 Hi guys, Jake here, and welcome to another episode of our Zcode Sports Betting Podcast that will help you to become a successful sports investor. We try our best to bring you best of the best, the most inspiring guests who share their message, their systems and their picks with you in order to help you succeed. We take sports betting really seriously and treat it as a business; because if done right, there is tons of money to be made by professionally investing in sports. And you heard right, I ... See More said investing in sports, not gambling on sports. Today I have a special guest on our show. Oldschool, as his name suggest is one of zCode most experienced men in the bloc when it comes to investing money, and investing wisely. These days, as a retired man he makes his fortune from trading sports and I do mean trading and not gambling - without further ado, Oldschool welcome! 1. First of all Id like to thank you for taking part in our podcast. Could you give us a description of your background and what are the origins of your illustrious career in betting? 2.You were a professional poker player in your 20-s meaning it was your sole source of income, story that many listeners would love to find out how you did it, what sort of skills did you posses back then that gave you the edge over your opponents? 3.You used to interact with some seriously “big dogs” in commercial real estate and you flew back and forth to Bahamas for VIP gambling junkets, one of the casinos even roped off a blackjack table for yourself and Jimmy Johnson just because he liked the way you play. How did it all of this start and what knowledge did you transition to sports betting afterwards? 4.Question people often ask is, “where can I bet on sports in the US?” if someone was to ask you this question how would you be able to help them? Are US Bettors spoilt for choice when it comes to bookmakers? Which ones would you recommend? 5.To my understanding in the 50s you hypothetically “deconstructed” baseball as you disagreed on many levels with the sport’s basic principles on how to handicap it. Since that time you’ve successfully made profit year in year out, how did you go about this and what made you succeed? 6.Could you elaborate to the listeners how your systems work without revealing too much of your magic? What zCode tools do you rely on? 7.You interact with a lot of experts within the zCode Community, Scotty, Captain Sportsal and bear to name few, you know an expert when you see one, hence why you wrote an article titled “what is an expert”. I was wondering if you could elaborate on what makes someone a professional bettor and what are their main distinctive features. 8.Your progression system for Baseball has accumulated for you enough profits to live off but also have a well off life, driving a luxurious car, living in a beautiful house and making most of everyday by not having to worry about your finances. What would be your most valuable piece of advice you can give to any bettors? 9.You give a lot of credit to your girlfriend who revolutionalised your career, as they say behind every successful man there’s a woman. Could you tell the listeners on the impact your second half had on you? 10.I’m sure you bet on many sports aside from Baseball and you rely on a lot of experts within zCode to make profit all year round however for yourself, I’d like to ask you a question on specialising, do you believe bettors should specialise in a sport and how should they go about doing so? 11.Given how much experience you carry on your shoulders, I wonder how much has the industry changed in the past years?